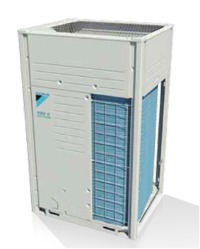 Daikin originally developed and launched VRV in 1982 in Japan and then in Europe in 1987. Over 30 years ago. However, they have not stood still and earlier this year launched VRV IV in its latest guise using VRT Technology. VRV IV is the most technically advanced, innovative and energy efficient air conditioning system in the market. In addition systems now include Continuous heating - "uninterrupted" by defrost cycles. Using PCM (Phase Changing Material), eliminating cold drafts during defrost. l systems with web based access and full energy management tools. Daikin VRV IV is the most intelligent, energy efficient solution.